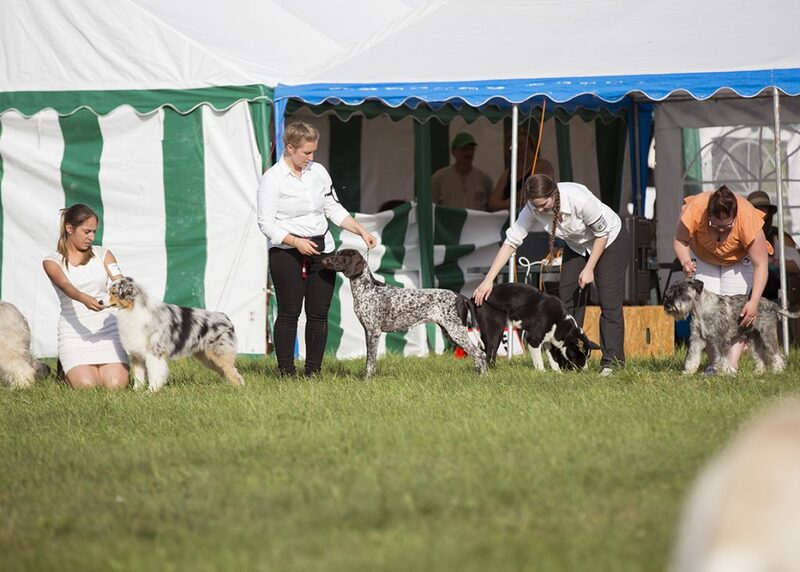 Here we go again.. Another International Dog Shows this season. 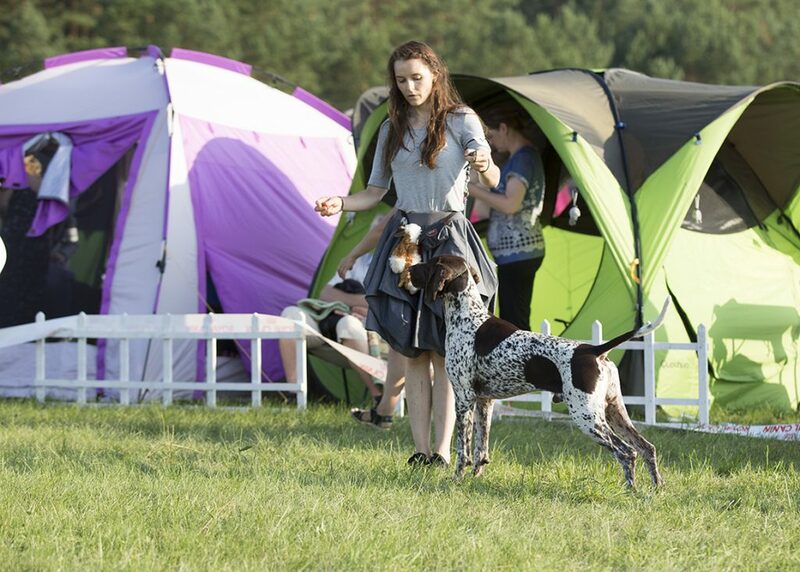 So Triple CACIB shows in Druskininkai, Lithuania. These exhibitions were very important to us. 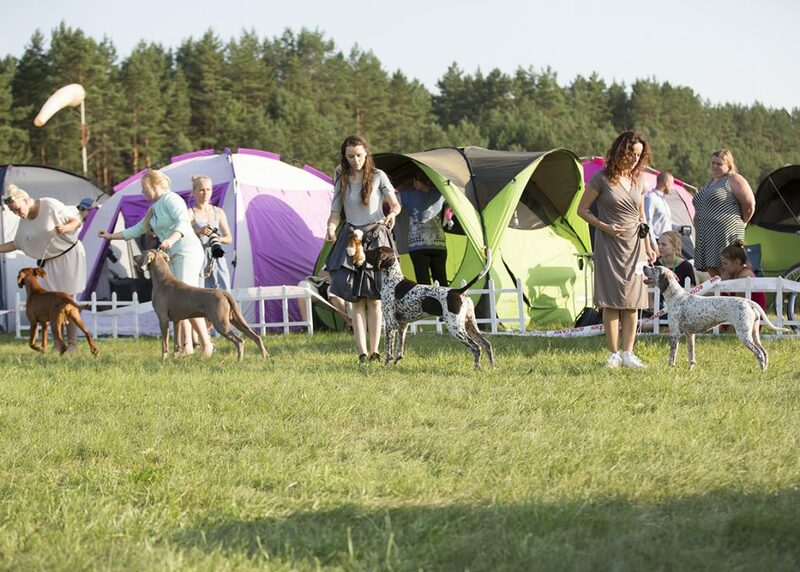 We entered 5 dogs and ended up with 4 new Lithuanian Champions and all the dogs were qualified for Crufts! > Exito Bueno UPE (Hugo) – Intermediate class – ex. 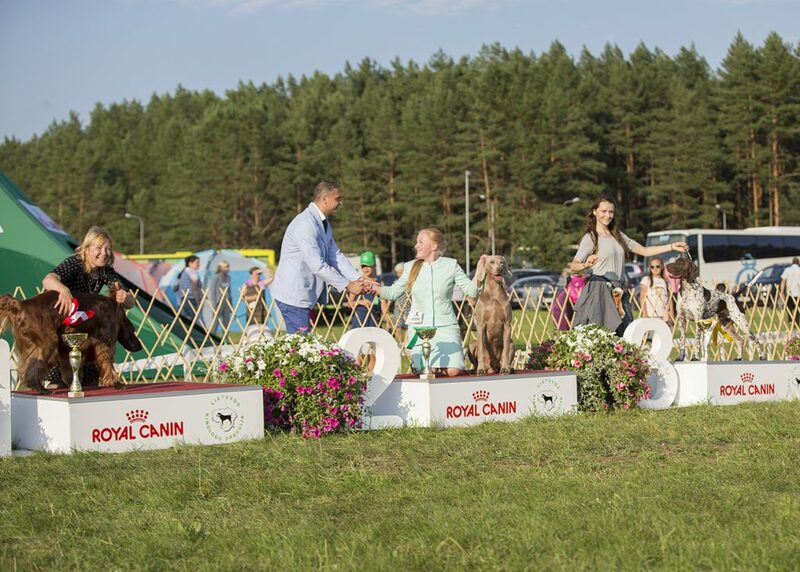 1; 3 x CAC, 2 x R. CACIB, Crufts Qualification’17, new Lithuanian Champion at the age of 16 months! > Halston Caps Lock (Magas) – Open class – ex. 1 (2), 3 x CAC, 3 x CACIB, 2 x BOB, BOS, 2 x Best in Group 3, Crufts Qualification’17, new Lithuanian Champion at the age of 24 months! > Malomkozi Lara – Junior class – ex.1; 2 x Junior Winner, 2 x Best Junior, Crufts Qualification’17 – 13 months. Lara is already LT-LV-RU JCH, JWW’16. > Exito Belleza UPE (Eza) – Intermediate class – ex. 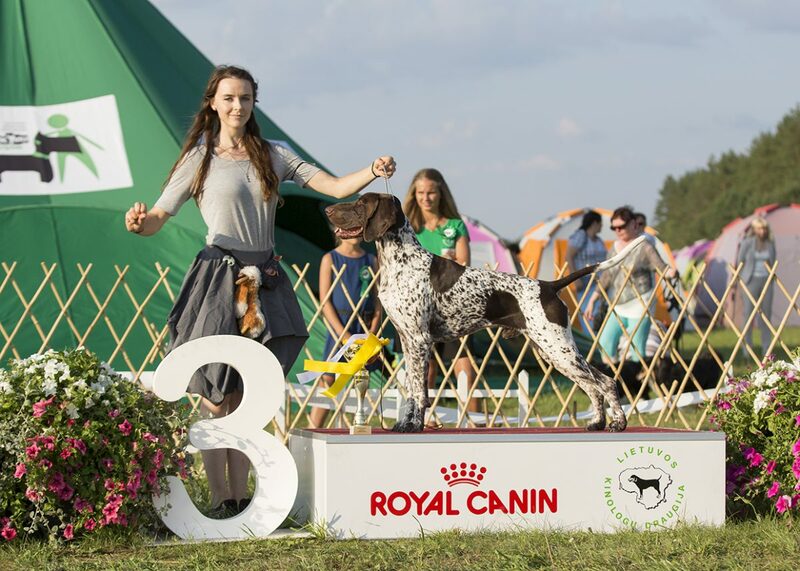 1; 3 x CAC, 2 x R. CACIB, Crufts Qualification’17, new Lithuanian Champion at the age of 16 months! 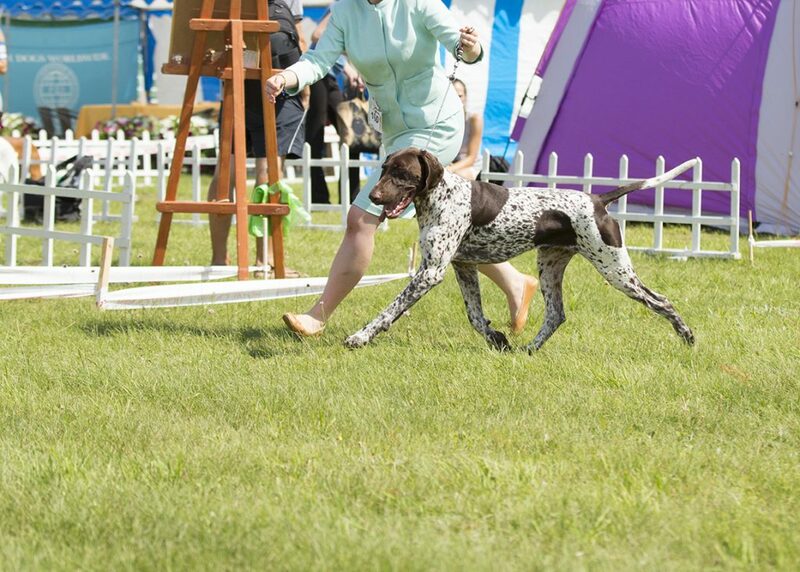 > Halston Cinnamon (Sabi) – Open class – ex. 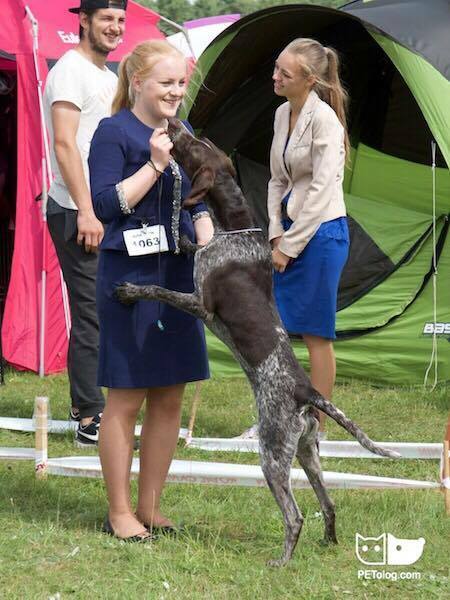 1, 3 x CAC, 3 x CACIB, 2 x BOS, BOB, Crufts Qualification’17, new Lithuanian Champion at the age of 24 months! 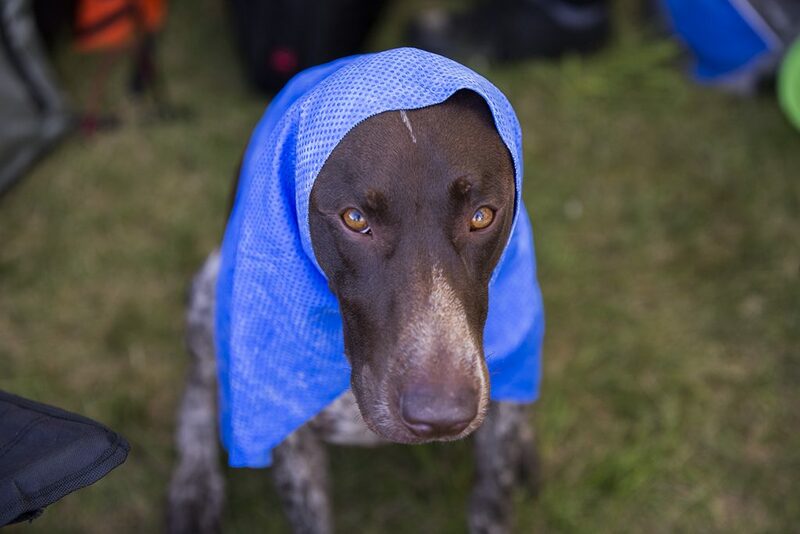 Friday was a very hot day with + 32°C in the shade, so we had to cool our dogs. This time it was a situation that l had to leave the show for two days. And there was no other way. I am so so happy that we became a little friendly community of GSPs lovers. I can even leave all the dogs and feel totally calm being sure everything gonna be just alright. Viktorija & Taurius, Simona & Tutas, Zivile & Audrius, Egidija, love you my Friends. We needed help of a brilliant handlers. Love to see young girls working with big love. Thank you, Vilte Sokaityte and Julia Jershova. 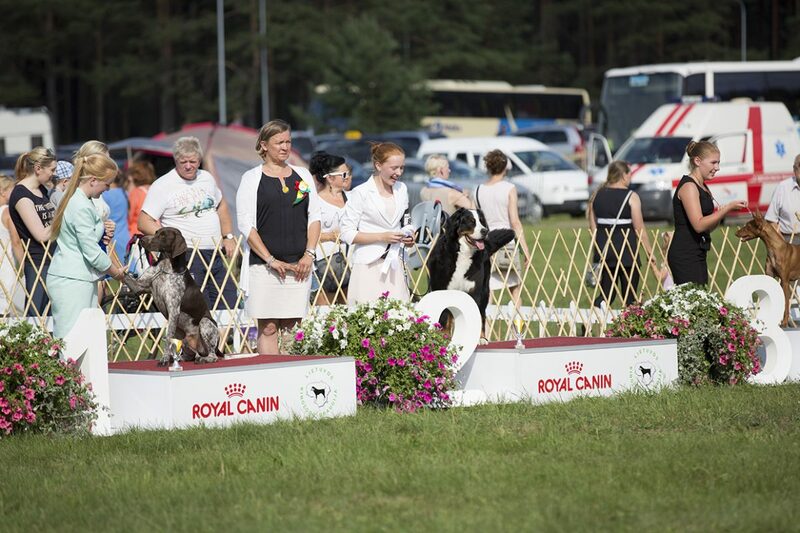 We have 2 x IDS left in Estonia for Summer Shows Season and than we are going to train in the fields more intense again. Sometimes I think that I live in a marathon (especially when we have a beautiful litter of 10 puppies) as I have another life near dogs, but I just love what I do. Love our dogs and our TEAM, so there is no a single reason to stop..